After two years in the Continental Division, Risa - Ergon is ready to race in the PCT in 2015. The team is a transcontinental cooperation between Risa and Ergon Energy. Risa, a Norwegian company from the county Rogaland, where many of the best Norwegian cyclists have started their career. 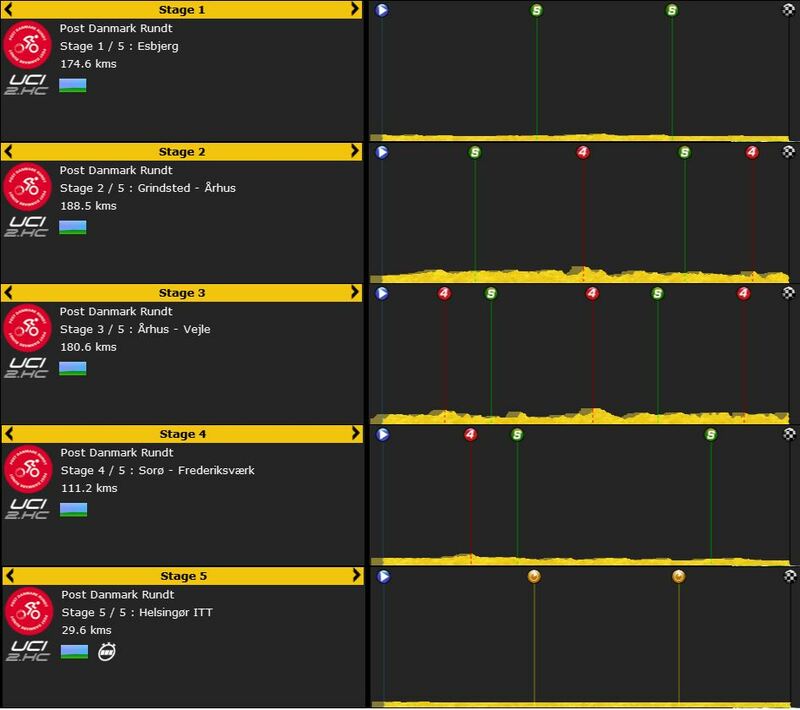 Ergon Energy is an Australian based company, and together they have started something as rare as a Norwegian-Australian cycling team. In the first season, Risa - Ergon managed to get 16th place with a squad filled up with talents. Many of those talent parted way with the team in the following transfer season. Every expert that had the guts to predict the CT, predicted Risa - Ergon to win the Continental Divison. But after a dissapointing season, the team only managed to get a 7th place in the rankings. Because of the disbandings team that was enough to get a promotion. Risa - Ergon had a press conference today, to announce the goals in the upcoming season. The team decided to aim for a top 15 this year. We know it will be hard and to be close to achieving that we must have a good transfer season. If we get the riders we hope to get, this is what we think can be possible. This is the biggest one-day race in Australia, and therefore a natural goal for us. We believe that Michael Matthews should be able to contest for a top 10 in this flat classic. As always, we like to have our goals in our focus regions. 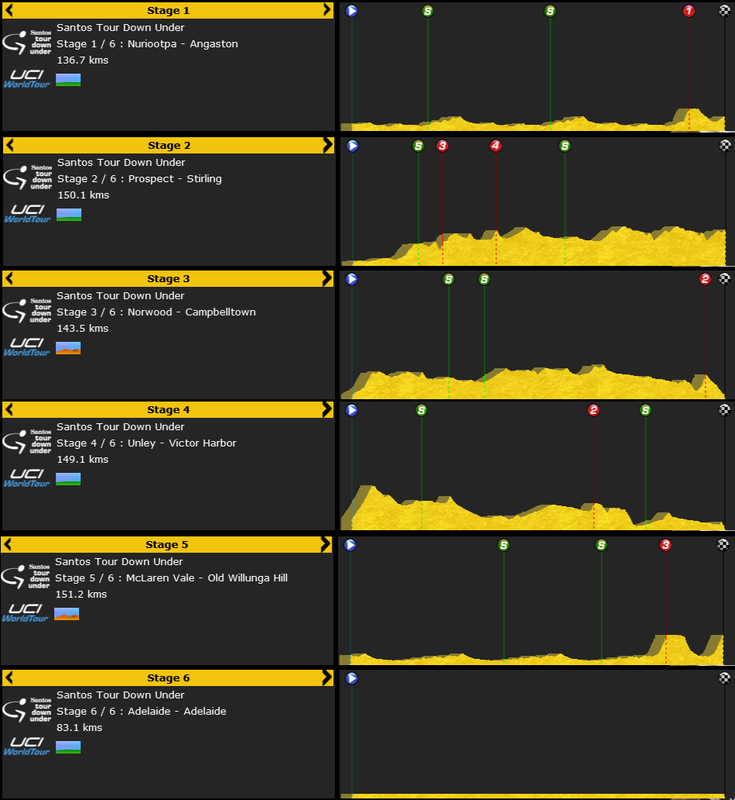 It's a five day race, with four flat stages and one time trial. Hopefully we can have a time trialist that is strong enough to secure a top 10 position. Since we haven't picked Tour of Norway as one of our goals, we had to have two goals from Scandinavia. We have competed in the Scandinavian Open Road Race in both the previous seasons, with a 21th(2013) and 22th(2014) as our best results. Now we hope to sign that puncheur that will help us to victory in this Swedish classic. And with two Scandinavian goals, Ergon were very keen on having another in Australia. And that will be the Tour Down Under. This is also a race that we have ridden the last two years, with a 22th place in 2013 and 23th place in 2014 as our best results. Nathan Haas rode with the best last year, but an upgrade of the Aussie seems necessary to secure the goal, a place amongst the top five. Also in today: The HC Bands selection were made public today. We got what we wanted. It was especially important to get the bands which included the Down Under Classic and Post Danmark Rundt. Our jersey is now ready. 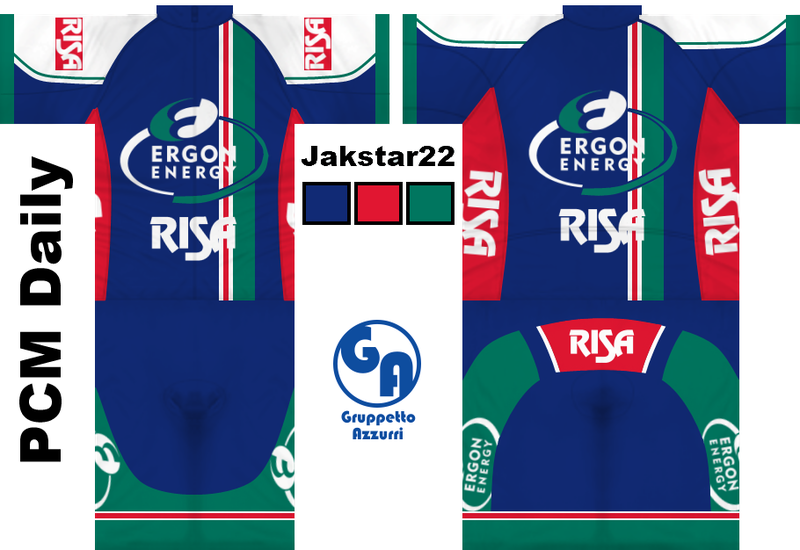 After two years with the colors of Ergon, we decided that we wanted something that showed of Risa. So in the upcoming season we will race in a red jersey, which coolrex have made. We thank him for his work. With the transfer season getting closer, the riders have negotiated with the team management for new contracts. Bar one rider, the management is very pleased with the new wages. We had a hard time getting an agreement with Michael Matthews, and his wage is therefore on 115.000 euros. All the other riders that got a new contract are on 60.000 euros or less. 115k for Matthews is still reasonable I think, and especially with the rest of your team that low, it won't mess up much. It's a decent core to build a PCT team upon already. 16 riders at a total of 905.000 must be promising for a promoted team, well done. It definitely gives you a lot of room for the transfer season, and it will be very interesting to see what approach you decide to take. cio: Yeah, it's reasonable, but I started the negotiations way too low in the first two rounds, so it should have been possible to get him at 100k, but I had to be on the safe side for the last round. ember: Oh, Kristoff will be re-signed no matter what Hope he won't be too god for the PCT, but I'm not counting on it..
Congratulation with a succesfull renewal! There is a rider that caught my attention here, do you have a list of riders that are absolutely not for sale? Same ^. Maybe we're thinking of the same rider? Well, I'm listening to offers on every rider, but it would take something extra for me to sell riders like Howson, Haas and Matthews. Earlier today, Risa - Ergon could announce their newest signing. Travis Meyer will join the Norwegian-Australian team, after his previous team, Wikipedia, disbanded after the last season, on a 250k wage. Press officer Svein Sveiobua had the following to say about the signing. Travis is a rider who goes very well in the hills, but he also has a good finishing punch. He will be given a lot of responsibility and will certainly be amongst our top riders. We are very glad to have him on our team, and hope that he'll help us to securing our place in the PCT. 250k for those sorts of stats is a very good value buy, nice job. I feel you are going to have a strong transfer season!